A few months ago I had a very strange experience with a painting. I was unloading it with a batch of other paintings for an art show. Every time I looked at it, images came into my mind of fashionable people from the 1950’s. 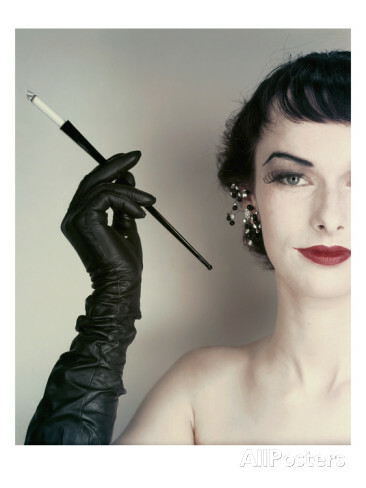 A woman with red lipstick, upswept hair, and a cigarette holder came into focus, along with sounds of a cocktail party. During the course of the weekend, the strange impressions kept beaming to me, every time I glanced at the painting. 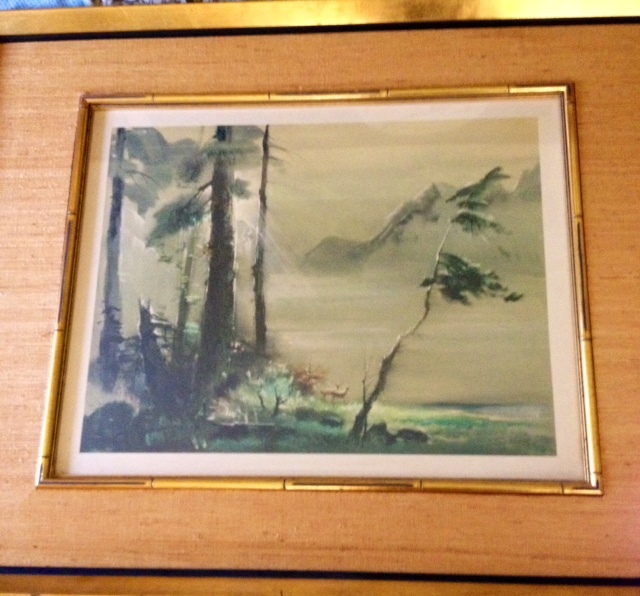 As it turned out, the painting was done by an artist named Tyrus Wong who is best known for his work on the Disney film, Bambi. He had a long career in the entertainment industry in Hollywood. It had been painted in the 1950’s. It might have hung on a wall in the Hollywood Hills. Had I pick up some sort of “vibes” from the picture? That experience led me to a spiritual development class on psychometry–the ability to hold an object and receive information about past owners or events associated with it. The class, taught by Debbie Nuccio Durrough, allowed me to explore the multidimensional ability of psychometry. The participants all brought various objects to be tested by the others. We wrote down our impressions. As it turned out, I have a knack for psychometry. Spiritual Development classes are popping up all over the country. I’ve taken classes in spiritual painting, meditation, energy healing, spirit communication, and the ” five clairs”–clairvoyance (seeing), clairaudience (hearing), clairsentience (feeling), clairalience (smelling), and clairgustance (tasting). (Read more about the clairs at The Scrying Bowl. )The point of taking such classes is to become a more multidimensional person. It’s not to be the next great guru or soothsayer. Most of us are only using a fraction of the abilities we possess. Being able to tap into higher dimensions of information makes for a much richer living experience. As a person of faith, I feel the classes have brought me in better communication with the Creator and my Spiritual Helpers. I know there’s a certain fear factor in this. People are afraid they’ll get involved in something dark. I say choose wisely; follow your intuition. Check out the picture of the teacher. Do you get a positive feeling? There have been times I’ve decided against a class because it didn’t “feel” right. On the whole, my experiences have been positive, enlightening, and fun. Don’t let unfounded fear keep you from exploring and being the best you can be! Thanks to the power of the Internet, classes are easy to find. Do a Google search or look for like-minded groups at Meetup.com. Join the Supernal Adventure!